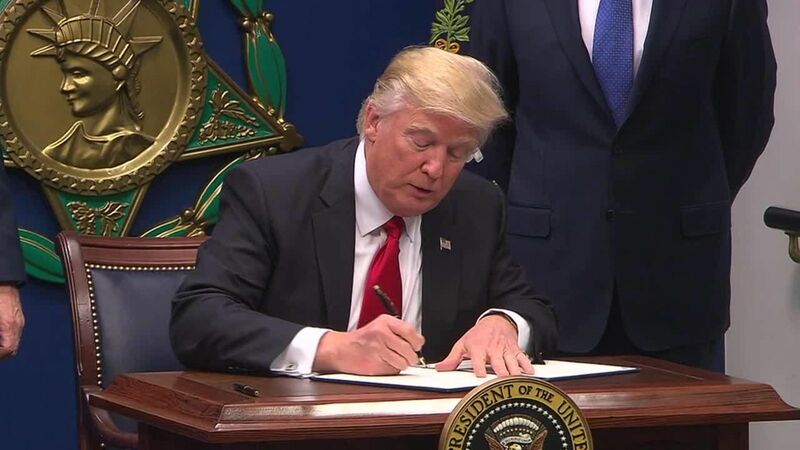 New visa criteria for entering the United States from six mainly Muslim nations, have come into force - meaning only those with close family or business ties are exempt from the travel ban. The move came after the Supreme Court voted to partially restore President Donald Trump's executive order, which was widely criticised as a ban on Muslims. The 90-day ban on visitors from Iran, Libya, Somalia, Sudan, Syria and Yemen, and 120 day ban on refugees, will allow exceptions for people with "close family relationships" in the US, including parents, spouses, children, sons- and daughters-in-law, siblings and step- and half-siblings. But "close family" does not include grandparents, grandchildren, aunts, uncles, nieces, nephews, cousins, brothers-in-laws and sisters-in-law, fiancés and any other "extended" family members, State Department guidelines say. The Trump administration insists the ban was necessary to protect the country from terror threats, and to give immigration authorities more time to tighten vetting of travellers and refugees. "As recent events have shown, we are living in a very dangerous time, and the US government needs every available tool to prevent terrorists from entering the country and committing acts of bloodshed and violence," a senior administration official said.